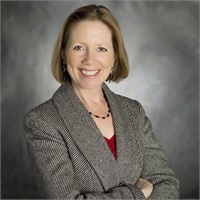 Mary Pat Kincaid | APC Financial Group, Ltd.
Mary Pat is a Registered Representative and Investment Advisor, responsible for administering our firm’s portfolio strategies and managing the investment operations. She received her B.S. in Finance from Northern Illinois University and her Masters in Financial Markets & Trading from the Illinois Institute of Technology’s Stuart School of Business. Mary Pat was the Director of Investments for a large pension fund in Evanston and Operations Manager for a mutual fund company in Chicago, before joining Paul A. Dominik & Company in 2001 and then APC Financial Group in 2010. She has her Series 7, 63, and 65 and is also licensed to sell Life, Health, Long Term Care Insurance and Variable Annuities. Mary Pat lives in Northbrook with her sons, is an avid dancer, gardener, and volunteer with Connections for the Homeless in Evanston.